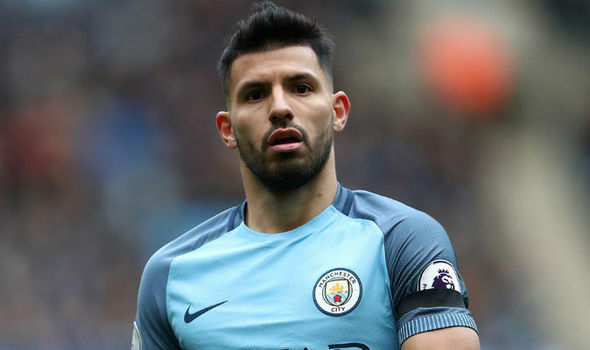 Sergio Aguero has admitted he will see what happens at the end of the season he also claim he he is happy right now in Manchester City. After the 3-1 defeat of Watford he was asked about his relationship with Guardiola and he replied "Everything is Fine"
Aguero also claimed he is satisfied with life at the Etihad, but it appears there is some confusion over the length of his deal. "I have until 2020, I think,' Aguero responded when asked about his contract. "The truth is that I hope to see out my contract and I'll try to do my best from here until the end of the season, and after that we will see what happens with me." Aguero was also asked if he plan to stay at City next season, He replied "Yes, for me yes. Obviously my plan is not to change clubs." "The truth is I'm happy here, but as always, as I said before, the club has the last word." "They're the only ones who decide, because obviously the club is the one who makes the decisions, they are the ones who say you have to go or have to stay." So I'll respect whatever the club tells me." Do you see Aguero leaving Manchester City by the end of the Season?